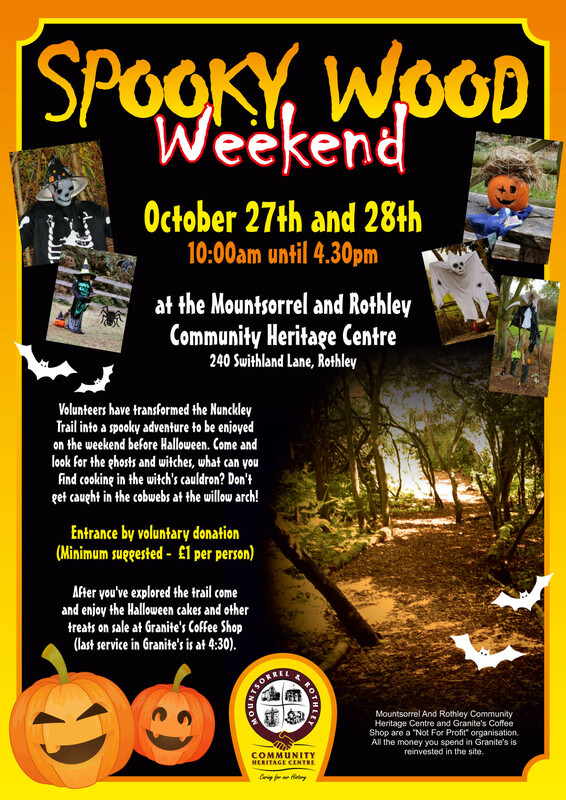 Our volunteers will once again be transforming the Nunckley Trail into a spooky adventure to be enjoyed on the run up to Halloween. Come and look for the ghosts and witches. What can you find cooking in the witch’s cauldron? Don’t get caught in the cobwebs at the willow arch! Our Halloween event has become our most popular event of the year. For the first time we have additional on-site parking and there is further parking at Mountsorrel Station on Bond Lane, only a 7 minute walk from the heritage centre. Bond Lane is closed at the Mountsorrel end to through traffic, so you can also park along the sides of Bond Lane. Please don’t park along Halstead Road. We will have a team of volunteer car park marshals to help you find a place to park, please follow their directions. The event is aimed at younger children so there is nothing to scary. Entrance to the Spooky Wood is by a suggested minimum donation of £1 per person. All money raised will go both towards improving the heritage centre site and to our fund raising appeal for the railway museum extension. Open 27th and 28th October between 10am and 4:30pm. Entrance by voluntary donation (minimum suggested donation £1 per person). 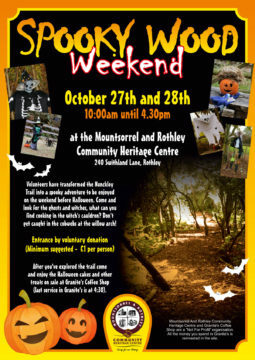 After you’ve explored the trail come and enjoy the Halloween cakes and other treats on sale at Granite’s coffee Shop. The Shack will also be open for hot pancakes and ice creams and the Shack BBQ will be on the go for sausage & Bacon baps. Please Note: The Nunckley trail will be CLOSED on Friday 26th October whilst we transform the wood.